Stray Kids's 'Uniformz' describe the contents of their backpacks in final 'Stanning Guide' interview! In the third and final part of their unique 'Stanning Guide' interview with Xsports news, Stray Kids's 'Uniformz' revealed the contents of their backpacks, and told some of the stories hidden behind the items! See what items the 'Uniformz' members Hyunjin, Seungmin, and I.N have in their backpacks below! The clothes are ones to change into after school, on his way to the practice room. The stretching band "is to alleviate muscle pain". According to I.N, it's true that Hyunjin reads a lot. "I try to read when I can because I like books. During promotions, I grew distant from reading because we lacked sleep time, but when we're not promoting, I try to read in the car or when I'm free." Finally, their manager buys them candy, Hyunjin said. "I've started 'One Piece'. Because I wanted to start a new hobby. I wanted to read manga, and Woojin hyung said that he had a lot of volumes of 'One Piece', so it was okay for me to read them." I.N has also seen glimpses of the anime. The 'Larva' pencil case is a hand-me-down from his younger brother, according to I.N, as his younger brother bought a new pencil case. However, he carries his computer stylus separately from his pencil case, because it's very important when taking exams. Finally, I.N's notebook is full of notes he took from manner lessons they received at JYP. "I packed the fan letters I received from the fan sign yesterday because I wasn't able to read them yet, so I'm going to read them at the dorm later," said Seungmin. The passport photos were recently taken, as Seungmin lost his passport. "I don't normally lose items easily," Seungmin said disappointedly. Seungmin's spare battery is "product of JYP". He tries to erase his makeup as soon as his schedules end. Finally, at the end of the interview, Seungmin shared, "For those who become fans of us after we graduate, please look back on this interview series a lot. Just like how we are growing up into adults, I hope Stay can grow with us." 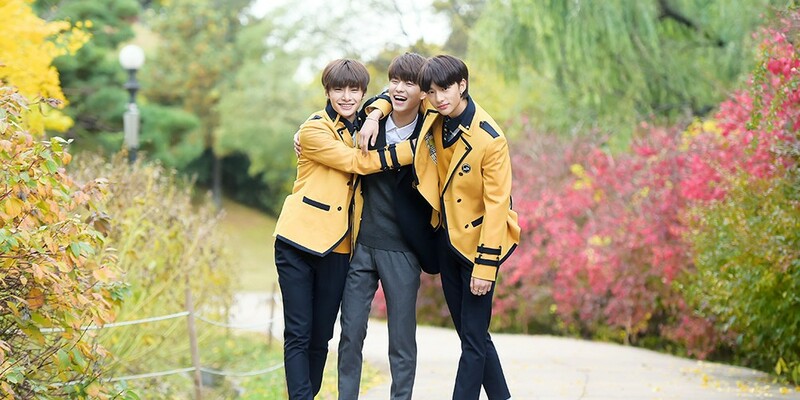 To see Xsports News's exclusive photos capturing the contents of Hyunjin, Seungmin, and I.N's backpacks, visit here!